Grove Cottage is situated in the heart of Bamburgh village and is within easy walking distance of the beach, golf course and Bamburgh Castle. Entering this spacious three bedroom accommodation, a visitor cannot help being charmed by the tasteful blend of traditional and modern style. Grove cottage is on two floors. 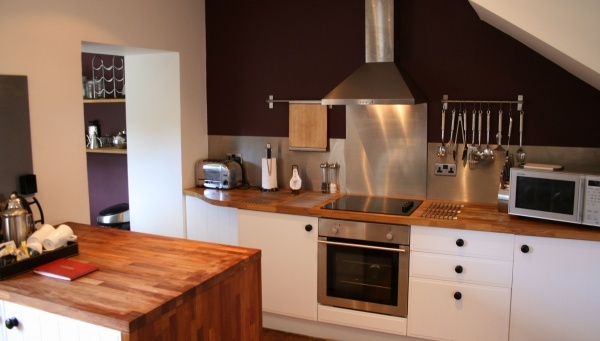 The ground floor is open plan and consists of a fully equipped, modern kitchen, leading to the lovely dining area with seating for 6 people. 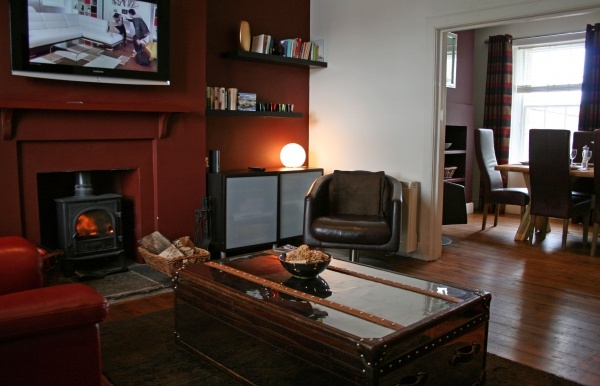 The spacious living room is relaxing and homely with a wood burning stove, large flat screen TV with a full sky package and wireless broadband. Access to the utility room which houses a washing machine and tumble dryer, is from the outside courtyard which comes complete with garden furniture and a barbeque. Parking is on the street in front of Grove Cottage. 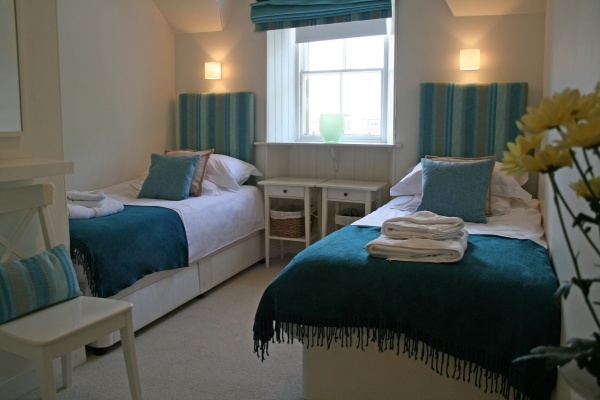 The first floor twin bedroom has been beautifully decorated and is ideal for the children in your family. This is an attractive light room with front facing window which gives you a great feeling of being beside the seaside. There is a dresser style wardrobe with two drawers and a small bedside table. Large comfortable single beds with luxurious Egyptian linen finish this room perfectly. The spacious master bedroom has a large kingsize bed, ensuite bathroom with a shower and overlooks the grove. The third bedroom has a window overlooking the courtyard and a 3/4 size bed which acts as a super comfortable single or snug double, perfect for the kids. Bedside storage. a bespoke hanging suite and vanity console are also provided. The bathroom is superbly equipped with a stand-alone bath and matching furnishings.